HospiceCare of the Piedmont recognizes that the needs of family and friends continue after the death of a loved one. HospiceCare has developed a bereavement support and service program that strives to offer a warm and caring presence as well as to provide grief education for those in need. 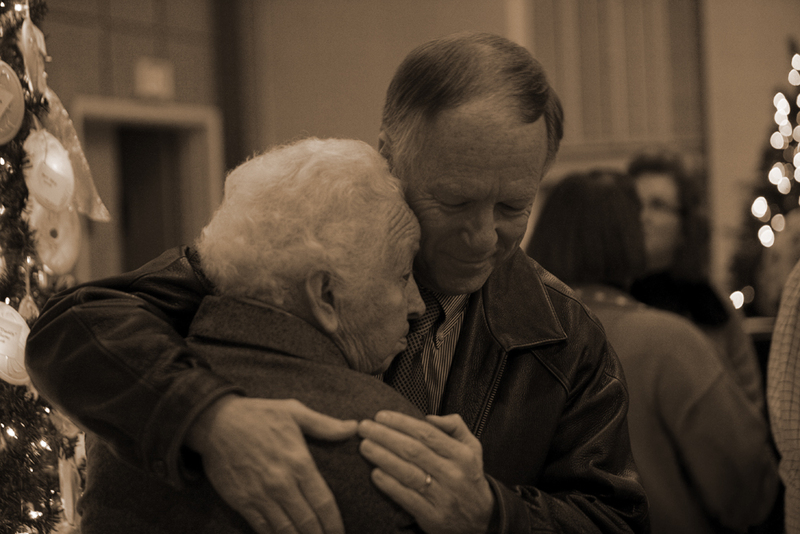 The program also exists to promote healthy grieving and healing from the pain of loss. As every individual is unique, so to are the needs of the grieving person. HospiceCare of the Piedmont offers a wide variety of services to meet these various needs. Bereaved families of hospice patients are generally offered support services for at least one year, but this to can vary according to the needs of each person/family. Continued contact for support is available from HospiceCare staff and volunteers. Individual grief counseling is available when appropriate. Regular mailings are sent to grieving families which contain practical and educational material about the grief process and suggestions for coping during this time of adjustment. Several ongoing monthly support groups are offered which are uniquely designed for those experiencing grief. The support groups enable grieving people a place to receive comfort, friendship, reassurance, social support and understanding. Peridically, an educational series on loss and grief and the ways in which it affects us physically, emotionally, legally, and spiritually is offered. Special programs are offered to help families prepare for and deal with the difficult holiday season while experiencing grief. An annual Memorial Service is held. This service is a special time for people to gather and reflect upon and commemorate the lives of their loved ones. HospiceCare maintains a substantial lending library consisting of books, videos, and other resource information on a wide variety of topics relating to terminal illness, grief and loss. Also available are brochures that may be taken for educational and posting purposes. Project Hope grew out of HospiceCare’s desire to reach the needs of grieving children and teens. It is a collaborative effort between the schools, human service providers, and HospiceCare that offers one-to-one grief support, school-based grief support groups, a mentor program, and Camp Celebrate Hope – a weekend camping experience for youth. HospiceCare has been a recognized community resource on grief issues by physicians, health agencies and are organizations for over 30 years. If left misunderstood, grief can manifest itself into many things – including physical illness and loss of self-esteem – seriously affecting the wellness of our children. Through close cooperation with community organizations such as schools, hospitals, pediatrician’s offices, county health departments and churches, we hope to better identify and assist children affected by loss through illness, tragedy and violence. Children have their own individual responses to the death of a loved one. They may openly share their thoughts or they may act as though they don’t care. However, they do care and may have compartmentalize the loss – putting it in another part of their brain to deal with at a later time. When grief is not processed, the feelings may show up later as misdirected anger, fears of abandonment, numbing, panic, sleep disturbance, and learning disabilities. Therefore, it is necessary that children process grief in their own individual way and with age appropriate strategies. Triggers that cause grief: death – a person’s life has ended. Someone we love is gone. It is difficult for young children, who have no concept of finite time to understand the finality of death. Divorce – a family unit is forever altered. Divorce represents the end of a nuclear family’s existence. Abandonment – someone we love or want to love leaves. Even single-parent children who have never known their fathers feel they’ve been deserted by their dads and endure the agony of great emptiness. Illness or disability – well-being has eased to exist. Incarceration of a parent or sibling – children are deprived of a loved one’s daily presence. In cooperation with local schools and guidance counselors, HospiceCare staff provides support groups on site to grieving children and teens at the elementary, middle, and high school levels. These groups help the youth cope with their grief and commemorate their loved one. Project Hope was initiated through a grant from the Self Family Foundation and continues to be supported by donations. At the Hospice center, an extensive library is maintained which includes children’s books, videos and other resources. There are also resources on children’s grief for those that work with children and teens as well as information for parents. Camp Celebrate Hope is an annual weekend retreat for youth ages 6-14 who are grieving the death of a loved one. The camp is uniquely designed to help participants share memories and explore feelings with others who have had a similar loss. The Camp consists of educational, interactive groups as well as recreational time for activities such as swimming, and arts and crafts. A special memorial service also allows the campers to commemorate their loved one. Programs are free and open to the community. It was saddening to read that if grief isn’t taken care of properly in children it can lead to misdirected anger. My husband died in a car accident 3 years ago and I am seeing that my son is getting more aggressive with his demeanor. I will be sure to talk to a counselor about how to help him! I am so sorry for your loss. Children definitely handle grief differently. If we can be of any assistance, please call us at 864.227.9393.